Mr. Gutman joined the board of directors in September 2015. Andrew has ten years of experience in private equity/venture capital, as well as fifteen years of experience in managing and/or advising profitable, growth and acquisition oriented software companies. 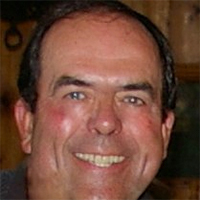 From 2001-2005, Mr. Gutman was the Chief Executive Officer of Speedware Corporation where he led the growth of the company from approximately $15 million in revenues to $62 million ($16 million EBITDA) through a combination of acquisitions and successful execution of internal growth strategies. In addition, under Mr. Gutman’s leadership, Speedware’s market capitalization increased from about $5 million to $143 million in less than 5 years. He is currently a consultant to several technology companies including president of the Park City Lacrosse Organization and president of the Park City Angel Network. Mr. Louis De Jong is the President and Chief Executive Officer of BSM Technologies Inc. (“BSM”). Mr. De Jong first joined BSM as its Chief Financial Officer in 2014. As CFO, he had responsibility for providing the strategic direction and leadership for BSM’s finance and operations groups. 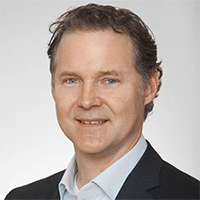 Prior to joining BSM, Mr. De Jong’s previous roles included Managing Director at Jemekk Capital Management, Head of Canadian Equities at Credit Suisse, and Head of Institutional Sales at Sprott Securities. Mr. De Jong started his career as an accountant with PricewaterhouseCoopers LLP. Mr. De Jong holds a Bachelor’s degree in Economics from the University of Western Ontario and is a Chartered Professional Accountant (CPA, CA). 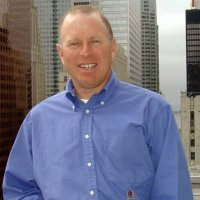 Mr. Maw joined the board of directors in June 2008. 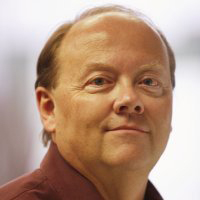 Frank is the past President of Motorola Canada Limited having retired after 35 years of senior management experience in the information and communications technology and the consumer products industries. Mr. Maw is a graduate of The University of Western Ontario and has served as the chairman of ITAC (Information and Telecommunications Technology Association of Canada), as a director on The Toronto Board of Trade, as the Chairman of the Canadian Wireless Telecommunications Association and President of the original Paging Services Council of Canada. Mr. Maw was the chairman of Netistix Technologies Corporation which was acquired by BSM Technologies Inc. in December 2007. 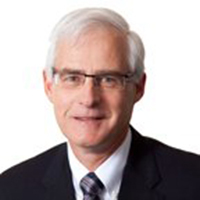 Mr. Metcalfe joined the board of directors in September 2015. Leonard is the former Chairman, Chief Executive Officer and director of LMI Technologies Inc. (LMI) and was with LMI from 1997 to 2011 until it was acquired by AUGUSTA Technologie AG. LMI supplied machine vision systems for various manufacturing industries from its offices in Canada, USA, Sweden, Ireland and The Netherlands. Mr. Metcalfe is a member of the International Society of Optical Engineers. He received a Diploma of Technology in Control Electronics from the British Columbia Institute of Technology in Vancouver. Mr. Monahan joined the board of directors in June 2016. 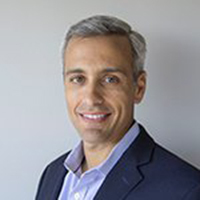 Greg has been a Senior Managing Director of Crescendo Partners, L.P., a New York-based investment firm, since December 2014 and has held various positions at Crescendo Partners since May 2005. He is also a Managing Member and Portfolio Manager for Jamarant Capital LP, a private investment firm. Previously, he was the co-founder of Bind Network Solutions, a consulting firm focused on network infrastructure and security. Mr. Monahan is currently on the board of directors of Absolute Software Corp., a leader in firmware-embedded endpoint security and management for computers and ultra-portable devices. He also serves on the board of directors of Cott Corporation, a leading provider in the direct-to-consumer beverage services industry. He previously served on the board of COM DEV International Ltd., a supplier of space equipment and services, SAExploration Holdings Inc., a seismic data services company, ENTREC Corporation, a heavy haul and crane services provider, Bridgewater Systems, a telecommunications software provider, and O’Charley’s Inc., a multi-concept restaurant company. Mr. Sgro joined the board of directors in June 2016. David is a Senior Managing Director of Crescendo Partners, L.P. and has held various positions at Crescendo Partners since May 2005. He is also a Managing Member and Head of Research for Jamarant Capital LP, a private investment fund. Mr. Sgro has served as a director of Imvescor Restaurant Group (TSX:IRG), a restaurant franchisor, since March 2016 and as an officer and director of Harmony Merger Corp. (NASDAQ:HRMN), a Special Purpose Acquisition Company, since May 2014. Mr. Sgro has been a director, and is the chairman of the audit committee, of SAExploration Holdings, Inc. (NASDAQ:SAEX), a provider of seismic data services to the oil and gas industries, since June 2013 and Pangaea Logistics Solutions Ltd. (NASDAQ:PANL), a provider of seaborne dry bulk transportation services to industrial customers, since October 2014. He previously served as a director, and chairman of the audit committee, of ComDev International, a TSX listed designer and manufacturer of space hardware subsystems, from April 2013 to February 2016; a director of Bridgewater Systems, Inc., a TSX listed telecommunications software company, from June 2008 to August 2011; and a director of Primoris Services Corporation (NASDAQ:PRIM), a specialty construction company, from July 2008 to May 2011. Mr. Sgro also previously served as an officer and director of Quartet Merger Corp., from October 2013 until its merger with Pangaea Logistics Solutions Ltd. in October 2014 and as an officer and director of Trio Merger Corp., from March 2011 until its merger with SAExploration Holdings in June 2013. Prior to joining Crescendo Partners, Mr. Sgro held analyst positions with Management Planning, Inc. and MPI Securities, Inc. from May 1998 to May 2003. 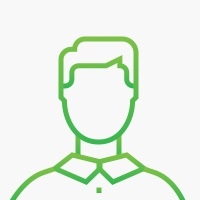 Mr. Sgro is a Chartered Financial Analyst (CFA) Charterholder and holds a B.S. in Finance from The College of New Jersey and an M.B.A. from Columbia Business School. Mr. Edmison joined the board of directors in June 2016. Kelly has been active in the business community for almost 40 years. Mr. Edmison is Chairman of Penderfund Capital Management, which manages a venture fund and variety of value based mutual funds. Previously, Mr. Edmison was a lawyer for 25 years having spent his early years in Calgary and Hong Kong and then the core of his practicing years focused on the technology industry in Vancouver. In 2002, he founded Pender Financial and PenderFund Capital which he led until recently. Pender initially managed a number of venture funds and then in 2009 transitioned into a mutual funds company. For over 20 years, Mr. Edmison has been an officer and director of many public and private technology companies. Mr. Edmison is a graduate of the University of Toronto and Queen’s University.